After a reckless driver seriously injured Carey Wintergreen, 62, on his bicycle, he knew he’d have a long road to recovery. What he didn’t realize is that he’d have to fight his own health insurance company tooth and nail to avoid getting much of his compensation confiscated. 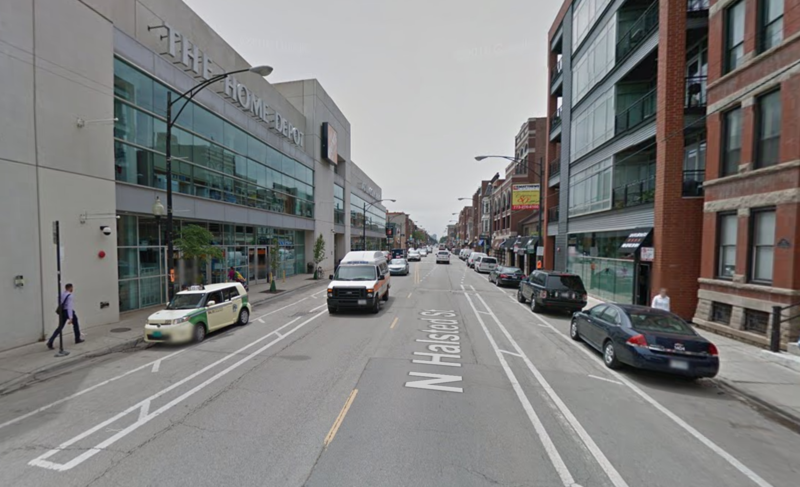 In July 2015 Wintergreen, a self-employed residential and commercial architect who lives in Lakeview, was biking from his home to check out the newly opened Bloomingdale Trail when he decided to stop off at the Home Depot near Diversey and Halsted. Pedaling southbound in the buffered bike lanes on Halsted in the sunshine, he put his left hand out to signal that he was crossing to the east side of the street, where the store is located. “I had plenty of time to maneuver because there was no oncoming traffic,” Wintergreen recalled. “I looked behind me, signaled, looked forward, and looked back again – as I always do – to ensure that the driver behind me would yield.” But as he did so, a motorist in an SUV accelerated and tried to pass him, slamming into his extended arm. Wintergreen’s injuries required him to undergo surgery to rebuild his hand, which required several months of physical and occupational therapy, plus a second operation to repair his shoulder and bicep, followed by several more months of therapy. A bone still protrudes in his wrist, which prevents him from being able to properly rotate or flex his wrist. However, Wintergreen isn’t certain he’ll undergo a third surgery to fix that problem, because it would require another six-to-nine months of therapy. “I’m not sure I can give up that much more of my life,” he said. For much of the recovery period Wintergreen was in a cast and sling, and he had to go to therapy three or four times a week. “As an architect, I need to network at events and lectures and functions to bring in new clients, but I couldn’t really wear business clothes, and therapy was dominating my life,” he said. As a result, his practice suffered, and things didn’t begin to get back on track until spring 2016, when he completed his second round of therapy. Wintergreen’s nose was broken and his left hand was fractured again. Luckily, the bones were aligned and he didn’t need another hand surgery, but he was back in a cast and sling. Blue Cross Blue Shield, Wintergreen’s health insurance provider at the time of the crash, covered most of his medical bills, although he has been responsible for about $12,000 in out-of-pocket expenses. Once his medical bills and records, plus a narrative of the case were sent to the SUV driver’s car insurance company GEICO, that company paid out the full amount of the motorist’s liability policy within a week. So simple even a caveman can do it, right? Not quite. First of all, Wintergreen said the driver’s low-cost coverage only paid out about of fifth of what the cyclist’s attorney determined he was owed for medical costs, pain and suffering, and lost earnings. On top of that, Wintergreen said, Blue Cross tried its darnedest to put a lien on his settlement from GEICO so that, after legal fees, he would have received only a tiny amount of compensation. “In Illinois, at least, in any health insurance policy there’s going to be a clause that says that, in the event of a third-party recovery, your medical insurance is entitled to a portion of that recovery to repay them for what they’ve paid in your medical costs,” he explained. Last March Wintergreen and his attorney were able to negotiate a second settlement with Blue Cross. “They got some of the [GEICO] money, but not as much as they wanted,” he said. So the injured cyclist ultimately received modest compensation for his ongoing physical tribulations and lost earnings, albeit a small fraction of what he’d hoped for. The photo’s a few years old but, yep, bicycling will help do that for you. This article makes Mr. Wintergreen appear as a bit of a whiner, and a bit short on details. I can fully sympathize with Mr. Wintergreen and all that he has been through with his bike accidents, as I was hit by a uninsured, unlicensed, probably DUI, hit and run driver. There were witnesses, but nobody got the vehicle license plate #. He didn’t know that and later turned himself in later. The point that I want to make is that it is fully reasonable that Mr. W’s health insurance co should get a share of his compensation from the offending party. In my case I got 41%, the lawyer got 34% and my insurance co got 24%. The 24% did cover most of those expenses. The lawyer suggested the 24% and the ins co. immediately agreed to it. I would have loved to have gotten 67% or even100%, but fair is fair. Try your luck in NYC with this sort of crap. I was intentionally run over by a psychopathic maniac who chased me the wrong way up a one way street and slammed into the back of me at full speed (attempted murder) after words were said at an intersection and he swung a bat out of the window at me. I have to make a no-fault claim to pay for my treatment and I’m not even 100% I’m going to get that since the crash was intentional. The NYPD didn’t charge him with attempted murder (just vehicular assault), they arrested and charged ME as well (handcuffed me and threw me in a cruiser after I’d just been hit by a speeding car) based on this psychopath making a BS claim that I’d broken his mirror (his own bat broke it), was handcuffed to a bench at the precinct for 3 hours in agony and now have to appear in court. Now I’m having to embark on a course of physiotherapy and possible shoulder surgery, not even knowing if the guy’s insurance company will deny the claim. After courier Brian Bauer caught up with a motorist who tried to run him off the road to hold him accountable, the driver gave him a vicious beat-down. Almost three months after Francisco "Frank" Cruz, 58, was fatally struck on his bicycle by a hit-and-run van driver in West Garfield Park, police still haven't made an arrest.